As a personal injury law office, our team hears many sad stories. We deal with a wide range of cases from car accidents to premises liability claims. However, all of our clients share the common tie of having gone through a life-altering tragedy. We are proud to serve these victims on a daily basis but their stories never cease to draw our compassion. Some of the most disturbing cases stem from Attorney Brod’s work as a leading San Francisco and Oakland nursing home abuse lawyer. These cases involve a population that have earned the right to respect and the very best care but who all too often find themselves the victims of mistreatment and abuse. The Oakland Tribune reported this week on a new tool aimed at helping people make informed decisions when it comes to placing a loved one in a senior care facility. The report began with local stories of mistreatment including a woman mocked by employees at a San Jose nursing home and another resident who reported having family photos removed from the room by the owner of an Oakland facility. According to the report, these are just a small example of the information now available in a new online search tool. The database is maintained by ProPublica, a non-profit group focused on investigative journalism, and provides users access to inspection reports for nursing homes nationwide. Reports detail 118,000 problems at 14,565 care centers, information stemming from the U.S. Centers for Medicare and Medicaid Services (CMS). Pat McGinnis, the executive director for California Advocated for Nursing Home Reform, praises the tool for allowing consumers to see information about the quality of care at facilities they are considering for a loved one. CMS did start posting the information online this year, but the ProPublica site is more readily searchable. Previously, it took a visit to the facility, a trip to a government agency, or the use of a Freedom of Information Act request to view the CMS reports. Representative of the nursing home industry suggest that the tool gives a skewed, limited picture of care. One spokesperson, Deborah Pacyna from the California Association of Health Facilities, noted the inspection reports do not contain information on overall resident satisfaction or positive programs at the facility. She advised consumers focus more on information about staffing and resident health available through the Medicare website. McGinnis did not disagree that other information is important, suggesting the new report database is only one of the factors that a family should use when deciding which facility is right for a loved one. 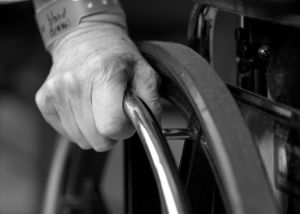 Nursing home mistreatment includes both neglect and abuse. It can be physical, mental or emotional. Cases include misuse of medication to subdue residents, physical restraint, the failure to provide personal care, and verbal belittlement. We encourage families to visit and research a facility before entrusting the center with the care of a loved one. If you suspect that someone you care about is the victim of nursing home abuse in San Francisco or elsewhere in Northern California, please contact our office. State and federal laws protect nursing home residents. We can work with you to help your loved one and hold abusive facilities responsible for these reprehensible crimes.